Hi all, just beware if you are planning to change ( or get a non BMW dealer to change ) your chain and sprockets. It appears that a few of the aftermarket suppliers have the wrong chain length in there catalogues (118 links vs the correct 128). My dealer ordered me a Renthal set from B&C express and they showed me the incorrect listing. They also checked another of their suppliers who also had the incorrect 118 link chain listed. Yep so true everyone saying 118 links but it has 128. I got a DID Gold Xring chain and JT sprockets for £98 inc postage from Hunters Motorcycles in Newcastle. Hi, it's offered by CMC when u buy from them. Underwritten by themselves not a 3rd party insurer with only consumables excluded. 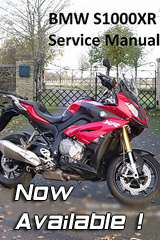 Due to a previous bad experience with BMW main dealer I made a point of confirming EDA, switchgear etc are covered The only condition is that CMC must service the bike, but like I said at £650 for 4 services it's a bargain. My first service with them will be the 18k which BMW quoted me around £700 for alone. They have an fully trained ex BMW tech in their workshop.